Kloni/The Same New Pet, photo: Akseli Valmunen, winner of the Young Nordic Photographer of The Year. Now opening his own exhibition The Same New Pet at Fotografiska in Stockholm. Fotografiska is proud to present the solo exhibition The Same New Pet by Akseli Valmunen, the Young Nordic Photographer of the Year (YNP). Akseli Valmunen, a 29-year-old recent graduate from Aalto University, will, in addition to this exhibition, receive 10,000 euros a personally selected artistic mentor, painter Juri Markkula, based on the Island of Gotland. 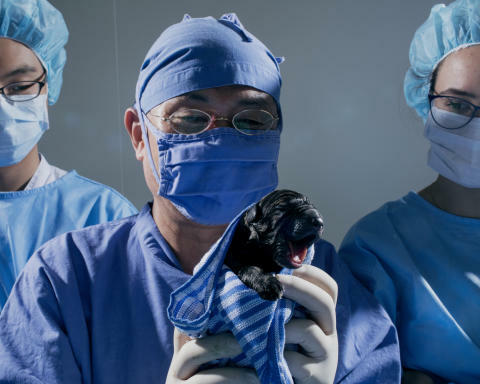 The Same New Pet is a story about people in South Korea paying 100 000 USD for a clone of their dead pet. This 2016 Young Nordic Photographer of the Year, Akseli Valmunen, exhibits The Same New Pet at Fotografiska. The grant recipient is a 29-year-old photographer from Finland, who recently graduated with an MFA in Photography from Aalto University. 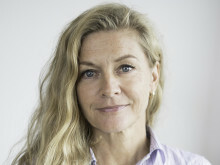 Valmunen works at one of Finland’s largest newspapers, Helsingin Sanomat, and was selected as the Challenger of the Year by Finnish Photojournalism in 2015 and 2016. “It’s a great adventure for me. A fantastic opportunity to show my work to a large audience at Fotografiska. What drives me is a kind of curiosity to observe, and enter into, other people’s lives, which is also a way of expressing myself. I have always loved to tell stories but because of my dyslexia it has been difficult – until I discovered photography. Almost everything I photograph is about me, about different perspectives of my thoughts and feelings, desires and fears, which I share with large parts of humanity, attempting to see yourself through others,” Akseli Valmunen explains. Caption: Akseli Valmunen exhibits The Same New Pet at Fotografiska. ”For us at Fotografiska this grant presents an excellent opportunity to contribute to the development of photography among young Nordic photographers. We very much look forward to an exciting collaboration with Akseli Valmunen on his solo exhibition,” says Jan Broman, CEO and founder of Fotografiska.